Persis Naumann & Liz Stokes recently published an article "Sexual Harassment in Nursing: Ethical Considerations and Recommendations" in the Online Journal of Issues in Nursing. Their article can be accessed by clicking here. Ercan Avci recently published his article "Should We Formulate an Incentivized Model Facilitating Kidney Donation from Living Donors? A Focus on Turkey's Current System" in Developing World Bioethics. Ercan's article may be accessed clicking here. Kiarash Aramesh recently published his work, "An International Legal Review of the Relationship between Brain Death and Organ Transplantation" in the Journal of Clinical Ethics. Congratulations Kiarash! Yoelit Lipinsky recently published her op-ed in the National Canadian Jewish Newspaper about a recent case involving a Jewish patient and removal of life support. The article is entitled "Re-examining Jewish views on Death." Kiarash Aramesh recently published his work, "Shiite Perspective on the Moral Status of the Early Human Embryo: A Critical Review" in the Journal of Religion and Health. Congratulations Kiarash! The article can be accessed bu clicking here. Kiarash Aramesh recently published his work, "Compassion as the reunion of feminine and masculine virtues in medicine" in the Journal of Medical Eethics and History of Medicine. Congratulations Kiarash! Kiarash Aramesh recently published his work,"Biopolitics, Pseudoscience, and Bioethics in the Global South" in the The American Journal of Bioethics. Congratulations Kiarash! Ercan Avci recently published his article "Childhood Vaccination in the U.S. and Turkey" in the Liberal Perspective: Analysis by the Freedom Research Association. Congratulations Ercan! Ercan Avci recently published his article "Should physicians tell the truth without taking social complications into account? A striking case" in Medicine, Health Care and Philosophy. Ercan's article may be accessed clicking here. Jordan Potter recently published his article "The Critical Components and Ethical Nature of the Concept of Cultural Competence" in Health Care Ethics USA. Jordan's article may be accessed by clicking here. Ercan Avci recently published his article "A Normative Analysis to Determine the Goals of Ethics Education through utilizing Three Approaches: Rational Moral Education, Ethical Acculturation, and Learning throughout Life" in the International Journal of Ethics Education. Ercan's article may be accessed by clicking here. Kiarash Aramesh, M.D. has received publication in the Archives of Iranian Medicine. Kiarash's article is entitled: "Fee Splitting among General Practitioners: A Cross-Sectional Study in Iran." Kirarash Aramesh, M.D. has received publication in the Journal of Medical Ethics and History of Medicine. Kiarash's article is entitled: "History of attitudes toward death: a comparative study between Persian and Western cultures." Ercan Avci recently published his article "Learning from Experiences to Determine Quality in Ethics Education" in The International Journal of Ethics Education. The article may be found here. Kiarash Aramesh, M.D. recently co-conducted and published a study entitled, "Fee Splitting among General Practitioners: A Cross-Sectional Study in Iran," in the Archives of Iranian Medicine. Congratulations, Kiarash! 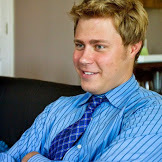 Congratulations to Jordan Potter for his recent article acceptance in The National Catholic Bioethics Quarterly. His article is entitled, "The Principle of Double Effect in End-of-Life Care." 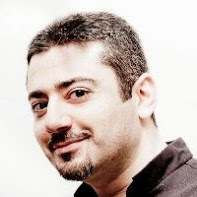 Kiarash Aramesh, M.D. 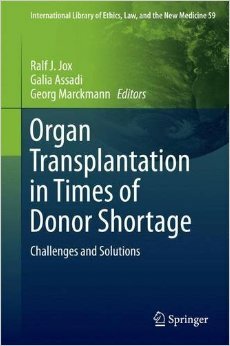 recently published his work, "Iran's Experience on Living and Brain-Dead Organ Donation: A Critical Review," in Organ Transplantation in Times of Donor Shortage: Challenges and Solutions, a text from the International Library of Ethics, Law, and the New Medicine (Volume 59). Congratulations, Kiarash! Kiarash Aramesh recently published his work, "A Closer Look at the Iranian Model of Kidney Transplantation," in the American Journal of Bioethics (Volume 14, Issue 10). Congratulations, Kiarash! "The concept of governance in dual use research." Medicine, Healthcare and Philosophy. Online First. Abstract: The rapid advance of life science within the context of increased international concern over the potential misuse of findings has resulted in the lack of agreement on the issues of responsibility, control and collaboration. This progress of knowledge outpaces the efforts of creating moral and legal guidelines for the detection and minimization of the risks in the research process. There is a need to identify and address normative aspects of dual-use research. This paper focuses on the issues of safety and global collaboration in life science research by highlighting the importance of openness, enabling policies and cooperative governance. These safeguards are believed to reduce the risks related to the misuse of science while enabling the important research to move forward. The paper addresses the need for a better definition of dual use concept and, based on the historical precedents, explores the moral concerns and governmental strategies of dual-use research. The three necessary moves in addressing the issue of security in life sciences are suggested: the move from constraining to enabling types of policies, the move from secrecy to openness, and the move from segregation to integration of the public voice. Abstract: This article attempts to answer the following normative questions: Can one consider the design of phase 1 studies ethically appropriate due to the unfavorable ratio of risks and benefits? What are some ethical safeguards for phase 1 oncology research? A comparative review of literature contributed to the consolidation of the proposed ethical framework for phase 1 oncology trials. This framework gives a special attention to issues of therapeutic misconception and vulnerability. The benefits and dangers associated with the enrollment in trials are described as well as the absence of alternatives, treatment-specific optimism, and vagueness in factual presentation during the informed consent process. The notion of therapeutic misconception is contrasted with optimism despite realism that stems from psychological, cultural and religious factors and not necessarily from the lack of information. Close attention is given to the possible ways in which the inherent uncertainty and resulting cognitive biases may affect the informed consent process and the definition of therapeutic misconception. The article ends with recommendations for an ethical way of enrolling palliative patients in early stages of oncology research giving special attention to provision of adequate consent, protection of vulnerability and avoidance of therapeutic misconception. Rabee Toumi recently published his article, Globalization and health care: global justice and the role of physicians." "Globalization and health care: global justice and the role of physicians." Medicine, Health Care and Philosophy 17, no. 1 (2014): 71-80. Abstract: In today's globalized world, nations cannot be totally isolated from or indifferent to their neighbors, especially in regards to medicine and health. While globalization has brought prosperity to millions, disparities among nations and nationals are growing raising once again the question of justice. Similarly, while medicine has developed dramatically over the past few decades, health disparities at the global level are staggering. Seemingly, what our humanity could achieve in matters of scientific development is not justly distributed to benefit everyone. In this paper, it will be argued that a global theoretical agreement on principles of justice may prove unattainable; however, a grass-roots change is warranted to change the current situation. The UNESCO Declaration on Bioethics and Human Rights will be considered as a starting point to achieve this change through extracting the main values embedded in its principles. These values, namely, respecting human dignity and tending to human vulnerability with a hospitable attitude, should then be revived in medical practice. Medical education will be one possible venue to achieve that, especially through role models. Future physicians will then become the fervent advocates for a global and just distribution of health care.